This call focusses on proposals of experiments in the area of IoT (Internet of Things) and 5G. More information on the specific objectives can be found further in the call document. Proposers who have submitted proposals in previous calls of the Fed4FIRE+ - project are allowed to re-submit. 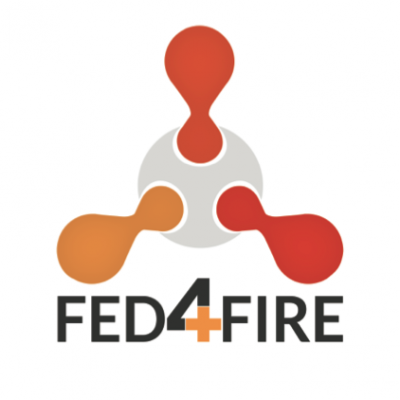 The Fed4FIRE+ project has the objective to run and further improve Fed4FIRE+’s “best-in- town” federation of experimentation facilities for the Future Internet Research and Experimentation initiative. Federating a heterogeneous set of facilities covering technologies ranging from wireless, wired, cloud services and open flow, and making them accessible through common frameworks and tools suddenly opens new possibilities, supporting a broad range of experimenter communities covering a wide variety of Internet infrastructures, services and applications. An overview of the available FIRE facilities offered through Fed4FIRE+ can be retrieved at the facility overview page on the Fed4FIRE+ website1. Additional background information about both the offered facilities, the tools adopted by the federation, and the implementation steps needed from a facility when joining the federation can also be found in the Fed4FIRE+ training material2. The major objective of this Open Call is to make the federated infrastructure directly available for execution of innovative experiments by experimenters at both industrial (including SMEs) and research organisations. These experiments should be of a duration as defined by the type of the call (Extra Small, Small, Medium or Large) and use one or more Fed4FIRE+ testbeds. Examples of such experiments may include but are not limited to testing of new protocols or algorithms, performance measurements, service experiments. It is required that these experimenters will come from parties or organisations that are not part of the Fed4FIRE+ project consortium. In view of the targeted timeline and duration of the experiment, it should be clear that these Calls envisage experiments by which existing products or services are tested, implemented or optimized on the Fed4FIRE+ testbeds rather than proposing or developing new ideas from scratch. Examples of such experiments may include but are not limited to testing of new protocols or algorithms, performance measurements, service experiments. • “Medium Experiments” with a maximum budget (including the financial support to the Fed4FIRE+ partner(s) acting as a Patron) of € 60 000 and a maximum duration of 5 months. This 4th Open Call focusses on experiments in the area of IoT (Internet of Things) and 5G. Experiments targeting other areas, applications and/or technologies can also be submitted, however the focus of this call implies that experiments in the area of IoT and 5G will be favourised during evaluation. • The focus on IoT covers topics such as (non exhaustive list): smart devices, smart buildings, smart cities, smart interfaces, sensors and monitoring devices and (wireless) IoT networks and protocols, IoT architectures, security, power consumption, battery life,.. Easily access all the required resources with a single account. Focus on your core task of experimentation, instead of on practical aspects such as learning to work with different tools for each testbed, requesting accounts on each testbed separately, etc. An extra benefit which is offered in this call is the dedicated support from specific Fed4FIRE members. Each proposer, preparing a proposal is required to seek a supporting Fed4FIRE consortium partner or partners (the “Patron”) that will be in charge of dedicated (advanced) support of the experiment. Proposals will only be accepted from parties eligible for participation in EC H2020-projects. Proposals will only be accepted from single parties (no consortia are allowed). Proposers can submit multiple experiment proposals, but only one experiment per proposer will be selected for funding in this Call. In case multiple proposals are submitted by the same party, reference should be made to each submitted proposal and clear indication should be given on the complementarity of the proposals. Parties who have submitted proposals in previous calls which were NOT selected for funding should indicate the exact dates and details of the previous submissions. Parties who have submitted proposals in previous calls which were selected for funding should indicate the difference between the current proposal and the previously submitted proposal. Parties belonging to a legal entity of which other groups have submitted proposals in previous calls also need to indicate the difference between the current proposal and the previously submitted proposals. Once a party is selected to perform the proposed experiment, it will be contracted by the project coordinator (imec) as a 3rd Party receiving financial support. This will require the signature of the Agreement of which can be found as download on the Fed4FIRE+ website together with this Call information. To submit a report at the end of the experiment using the template in Annex 2 to this document. To prepare a Poster (A1-format) describing the objective and results of the experiment as well as the impact of the experiment on the proposers’ business. This poster can be used by the Fed4FIRE+ consortium at public events and will be used at the occasion of the review meetings. To prepare a flyer (2 A4-pages) describing the objective and results of the experiment as well as the impact of the experiment on the proposers’ business. This flyer can be used by the Fed4FIRE+ consortium at public events. • The production of a short video about the experiment is recommended. This video will be used by the Fed4FIRE+ project at public events. Attendance at the meetings listed below is required. It is therefore recommended to budget these in the proposal. § presentations by the finished and running experiments will serve as tutorials and demonstrations towards participants and new experiments attending the event. § finished experiments will undergo a formal review by the EC at this FEC5. This formal review is required for obtaining full payment of the experimenters.